Nearly £13million could pour into council coffers across the north of Scotland under the Scottish Conservatives. The party manifesto calls for councils to keep money raised on the sale of property by the Land and Building Transactions Tax (LBTT). 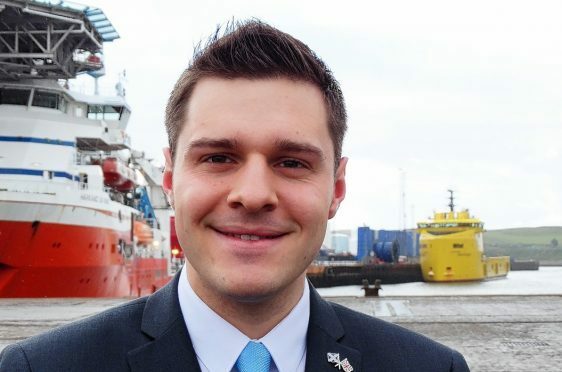 North-east MSP Ross Thomson said decentralising the property tax take would boost the region. He said: “The Scottish Conservatives have long called for a review of the funding settlement, and our manifesto states LBTT should be fully retained locally. “This would require a new framework for funding of local councils, but it could help areas of high economic activity, and indeed high property values, like the north-east. “Under the current system, our councils are being forced to look at cuts to services at a time when the local economy remains fragile due to the downturn in oil and gas. Mr Thomson said the plan could help to address the “chronic” under-funding of north-east councils. He said: “It’s been clear for some time we need action to address the chronic under-funding of councils in the north-east area – Aberdeen receives the lowest settlement in Scotland, with Aberdeenshire the third lowest. The move would require a change in the fiscal framework between central and local government in Scotland and the funding formula that decides the level of grant support for each council. Official figures indicate £12,810,823 could be raised by councils in the region based on house prices and sales volumes over the last year. In Aberdeen, the latest figures from Registers of Scotland show 3,973 homes were sold last year at an average price of £205,381. With LBTT at £1,208 for this price, the city could bring in £4,799,384 a year from domestic sales alone. In Aberdeenshire, there were 4,091 sales last year, at an average value of £209,000. LBTT for this price is £1,280, totalling £5,236,480. Average house prices in the Highlands were £170,048, which is an LBTT rate of £501 over annual 4,489 sales, totalling £2,248,989. In Moray, average house prices were £159,909, LBTT rate was £298, and house sales were 1,765, totalling £525,970. LBTT is paid on all transactions over £145,000. The figures put Aberdeen City and Shire in the small minority of councils above the national average for both house prices and the volume of sales.